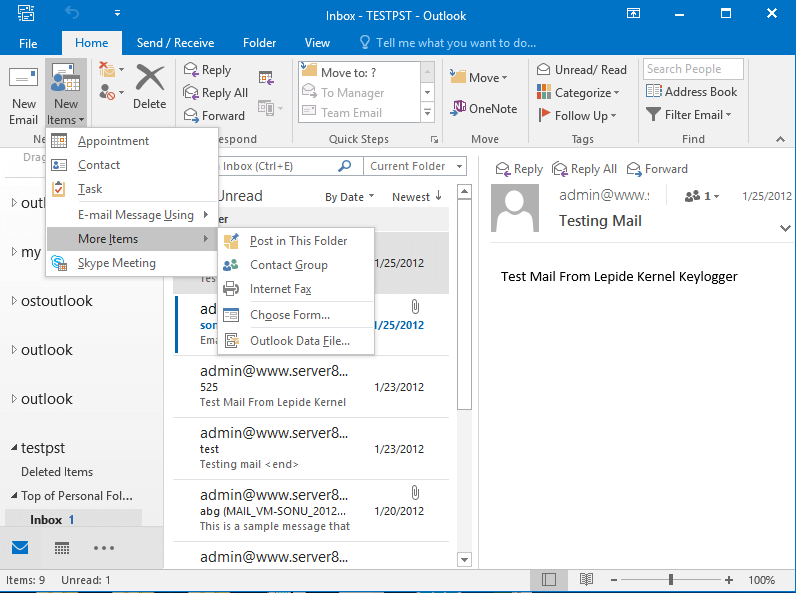 MS Outlook, while working as a desktop email client, stores its emails and other items in Outlook data files (PST). A PST file stores user emails, contacts, calendar, journals, and other items on the local disk. So the PST data is accessible only through the Outlook configured on the system where it is saved. However, it is possible to transfer PST files to a different system using a portable device (such as external hard disk). What makes PST files a convenient file format for Outlook users? PST files are portable. Also, they can be used to backup Exchange mailboxes or to recover user mailbox from OST files. The archiving feature of MS Outlook also uses PST format to save the old and unused items. How to create a new PST file in Outlook? 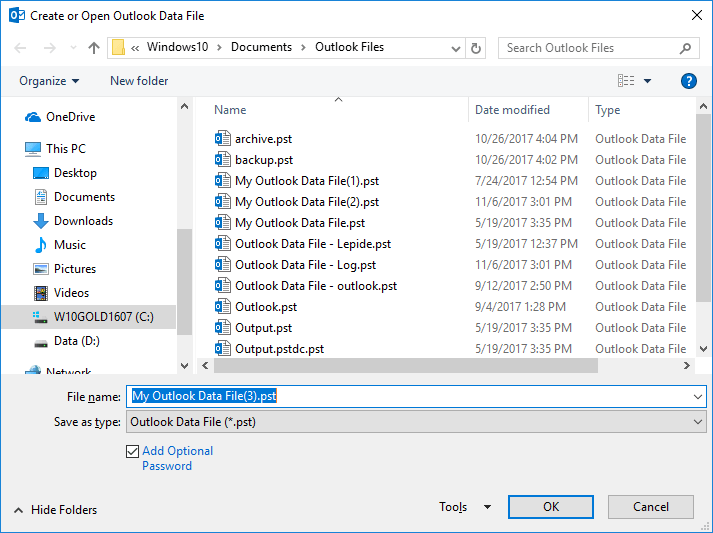 Open MS Outlook, click New Items, point to More Items and then click Outlook Data files. 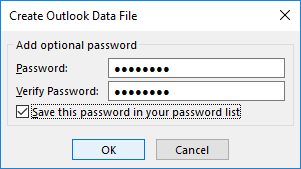 Give a name for the new PST file (click Add Optional Password if you want to create a password protected PST file) and then click OK. Note: If prompted by Outlook, enter a password for the new PST file, verify it, and then click on OK. The newly created PST file instantly becomes visible in Outlook. Can we access corrupt PST files in Outlook? Outlook PST files are highly vulnerable to corruption, especially when they are very large. When corrupt, they cannot be accessed in Outlook. However, they can be repaired using tools like Kernel for Outlook PST Repair. Exports PST data to MS Exchange, Office 365 and more. Saves PST emails in web mails like Google apps, yahoo, and Gmail, etc. Saves emails in MSG, EML, PDF and more.